This ethnographic study of commercial gestational surrogacy in a small clinic in western India introduces the concept of “everyday forms of kinship”—kinship ties as the product of conscious everyday strategy, and, at times, as a vehicle for survival and/or resistance. The surrogates’ constructions of kinship as a daily process disrupt kinship theories that are based solely on biology. So, too, do they disrupt the patrilineal assumptions made in studies of Indian kinship. Kinship ties instead find their basis in shared bodily substances (blood and breast milk) and shared company, as well as in the labor of gestation and of giving birth. By emphasizing connections based on shared bodily substance and by de-emphasizing the ties the baby has with its genetic mother and the men involved in surrogacy (the genetic fathers and the surrogates’ husbands), the surrogates challenge established hierarchies in kin relationships—where genes and the male seed triumph above all. Simultaneously, by forming kinship ties with the baby, the intended mother, and other surrogates residing with them, surrogates in India form ties that cross boundaries based on class, caste and religion and sometimes even race and nation. 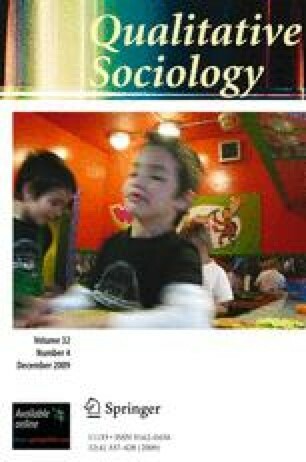 By focusing on the notions of blood (shared substance) and sweat (labor) as basis for making kinship claims, this study both extends anthropological literature that emphasizes the non-procreative basis of kinship and feminist works that denaturalize kinship ties and make visible the labor involved in forming kinship ties and maintaining a family. I would like to thank my dissertation advisers and mentors, Millie Thayer, Robert Zussman and Joya Misra at The University of Massachusetts, Amherst and Elizabeth Hartmann at Hampshire College. I am indebted to Michael Burawoy and Arlie Hochschild for their helpful suggestions on earlier drafts of this paper, and the anonymous reviewers for their insightful feedback. Finally, heartfelt thanks to the women who shared their surrogacy stories with me. Funding was provided in part by the International Dissertation Research Fellowship (Social Science Research Council) and The University of Massachusetts, Amherst.